Shopify CEO Tobias Lütke now knows how the machinery of government operates. That’s according to ISED Minister Navdeep Bains, who participated in a fireside conversation with the startup founder at Elevate on Tuesday. The chat was moderated by Melissa Sariffodeen, co-founder and CEO of Canada Learning Code, and was ostensibly an overview of the federal government’s Digital Industries Table report, of which Lütke was named chair in November 2017. The interim report states that Canada’s ICT sector (Information and Communication Technology) accounted for $42.7 billion of Canada’s GDP (2.5 percent of total) in 2016. 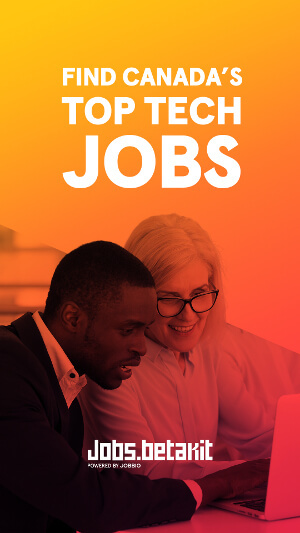 However, 85 percent of Canada’s ICT firms employ fewer than 10 people, with large firms accounting for more than 34 percent of employment while only comprising 0.2 percent of the sector. Both Bains and Lütke agreed that the goal of the report was to set the long-term winning conditions for the sector. The interim report sets four priority themes to create those winning conditions. One is to foster the growth of what Lütke called “freight-train companies” focused on growing beyond the $10-50 million annual revenue stage. The founder noted that companies at this stage have previously been unsupported by government innovation programs, and often choose to sell rather than scale. “What we need is a couple more anchor companies, because they really have an outsized impact on the ecosystem,” Lütke said. Bains noted that Canada is behind comparative to global tech when it comes to intellectual property, stating that 9 percent of Canadian companies own IP, with only 10 percent having an IP strategy. Both Bains and Lütke also noted the need to grow Canada’s digital talent base, both in terms of digital literacy and access to digital services. 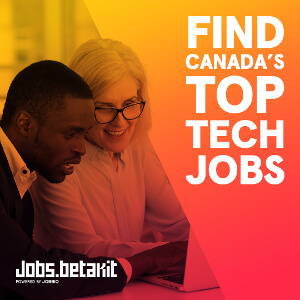 Lütke spoke to creating significantly more computer science engineers, and referenced his company’s Dev Degree program, which embeds students directly into development teams at Shopify through a paid internship opportunity that culminates with an Honours Bachelor of Computer Science degree. Bains, for his part, referenced Canada’s “digital divide,” stating that only 40 percent of rural Canada has access to high-speed internet. Through the CRTC, the federal government has committed more than $750 million to make broadband internet a basic service for all Canadians. The Digital Industries Table interim report can be found here.